Homeowners and business owners are counting on us more and more for their Brentwood junk removal needs. Junk removal is a topic not widely talked about, but it’s necessary and we are the company that can get the job done for you. 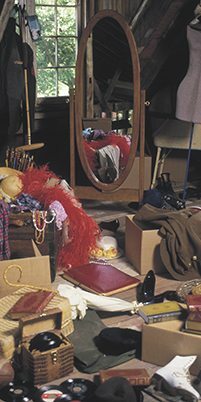 Maybe you’re a homeowner who is finding herself with an empty nest and can’t wait to get all of your home’s clutter cleared out for once and for all. Maybe you’re finding that the billiard table that your son and his friends couldn’t get enough of back in the eighties is now just a spot for you to place old mail and circulars that you haven’t had the chance to go through yet. You may even be facing the unfortunate event of cleaning out the home of a loved-one who isn’t able to do it on his or her own or has passed on. Whatever your reason, our Brentwood junk removal can provide you with whatever service you may need. If you’re able, we can provide you with a container and you can fill it up at your own convenience and when you’re done, we’ll just haul it away. If you need Brentwood junk removal and you need someone to do the job for you, we can provide you with a team of professionals who will show up and remove whatever you want. Whether it’s an old barbecue that’s been sitting on your deck for ages or your child’s old furniture set, we can take it out of your home for you and dispose of it properly. Rental property owners who have tenants that leave behind all kinds of trash, and need it all removed quickly so they can turn the apartment over to the next tenant, often call upon our Brentwood junk removal services. With the housing crisis of recent years, we’ve seen a large number of people buying up foreclosed properties and with those properties comes whatever might be inside too. We can clear out a property, ripping out carpets, removing old furniture or whatever else might be left behind for a fraction of the cost of a construction crew or comparable demolition crew. Our professionals take care not to damage other surfaces when they are removing garbage and we are insured so there’s nothing to worry about.